We did a tour all the way up to Carcross in Canada. We did a tour all the way up to Carcross in Canada. Learned quite a lot and was able to view some beautiful scenery including a little desert and an emerald lake. Lunch was just ok at our stop. It was sandwiches and soup and pie. Mark Larson was an entertaining guide. Mark Larson was an entertaining guide. He knew so much about the area. Best part of our trip was the "bus/van" tour in Skagway. Best part of our trip was the "bus/van" tour in Skagway. Mountain views, a comfy bus ride and we drove into Canada to see the Yukon. The train was expensive and crowded, so very happy we went with the bus tour. SKAGWAY: This was a very small port. Train up to Fraser and then van as far as Emerald Lake. Train up to Fraser and then van as far as Emerald Lake. Scenic and relaxing, I loved seeing the traces of the miners&apos; trail up the White Pass from the train. Great driver with lots of wonderful information. Skagway bus / train ride – This was a fantastic tour. Yukon Adventure by Bus with Chilkoot Charter and Tours Easy pick up right in front of the ship. Great drive to the Yukon. Our driver /tour guide, Paul was excellent. Yukon territory scenic drive was excellent. Yukon territory scenic drive was excellent. We had a great time driving around mountains out to the Yukon. Had lunch at Spirit Lake Wilderness Resort Restaurant and viewing bears on the trip. I booked the Yukon Territory Scenic Drive excursion through the ship. This half-day tour showed you sights and places the train can&apos;t get to. This half-day tour showed you sights and places the train can&apos;t get to. A truly magnificent day that included a good BBQ chicken lunch. Raymie, goes way beyond what she has too. Very good tour and guide. Very good tour and guide. Beautiful scenery. We did the Skagway Full Day Yukon Discovery Tour . Went to Carcross for a barbecue chicken lunch and dog sleds including petting zoo etc. Amazing day in a small bus. Amazing day in a small bus. We had perfect weather and the scenery was outstanding. Our guide was excellent and the day included lunch at Carcross. 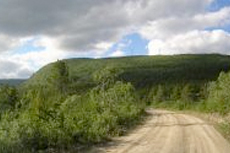 We travelled through the Klondike area and into the Yukon territory of Canada. We booked our Yukon Discovery tour with Southeast Tours in Skagway, and it was delightful. Tour guide was excellent! Tour gave good insight into Yokon Territory.